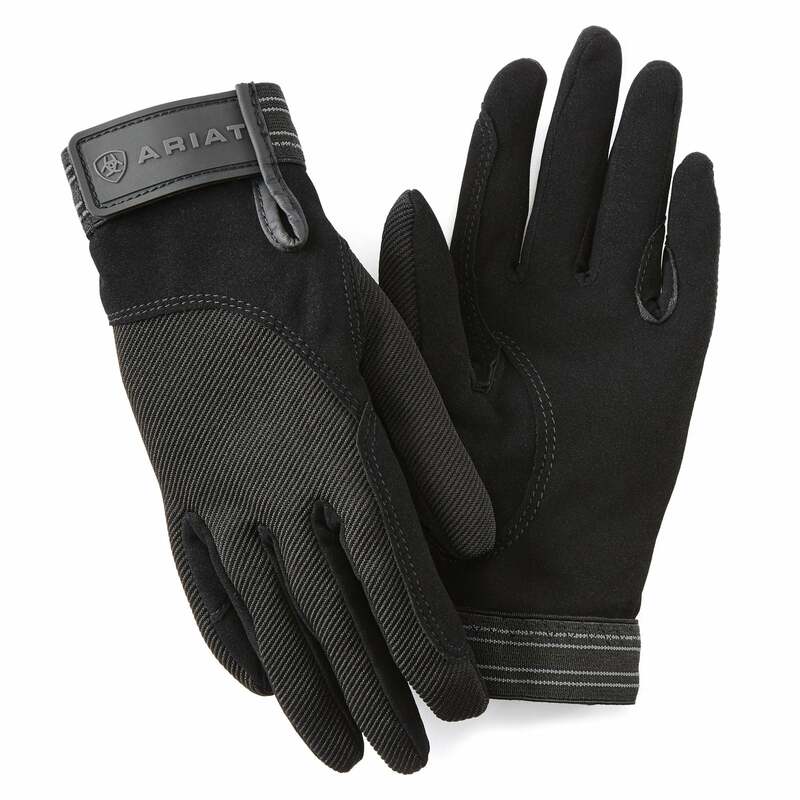 Ariat Tek Grip Gloves are lightweight and comfortable to wear and offer excellent grip on the rein. The palm of these Ariat riding gloves is made from the finest synthetic suede which provides both sensitivity and grip on the rein. The stress points where the rein is being gripped are reinforced to ensure your comfort and the durability of these gloves. The main outer fabric used in making these Ariat gloves is stretch Tek Twill which is highly flexible and therefore offers a superior fit. The Ariat Tek Grip Glove is finshed with a velcro tab at the cuff adorned with contrast Ariat branding.